We are The 2015 BEST RAGDOLL CAT WINNERS TICA-NE in both Champion and Alter Divisions!!! Supreme Grand Champion & Champion lines! Visit our "Available Kittens" page for more information! In a period of a three years, AngellCats Ragdolls has been awarded with 4 Supreme Grand Champion Ragdoll Cats and 5 Regional Winners and have received well over 400 award ribbons. AngellCats is currently the "2015 TICA BEST OF BREED WINNERS (NE)" in both Champion and Alter Divisions. Additionally, AngellCats Ragdolls has been awarded with 27 TICA Awards of Excellence for the years 2013-2016. We have produced a strong line of Champion cats with TICA, including several Regional Winners, Grand Supreme Champions, Double Grand Champions and many, many Champions. Our beautiful female Princess Selah is on her way to becoming an "Outstanding Dam" for all the champions she has produced. Our award winning cats have been featured in TICA year books year after year including, years 2013, 2014, 2015, and 2016. The AngellCats family of Ragdolls are from established bloodlines of the genuine foundational ragdolls started by Ann Baker in 1964. These foundations Cattery lines appear in the foundational levels of our pedigrees including: Blossom Time, Petti-Lu, Sugarpaw, Merrypawpins and Ragtime. 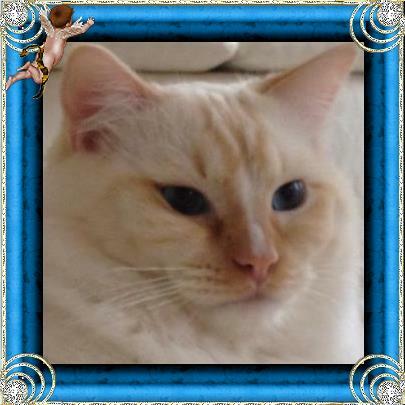 We also have three very famous and legendary Ragdolls in our pedigrees including, GC Sugarpaw Jack Frost, Sugarpaw Bit O Honey and SGC Ragnarock's Elvis of Chatandolls. Ragdoll International (RI) annually gives out the "Sugar Paw Jack Frost" award in his memory. Both Sugarpaw JackFrost and Sugarpaw Bit O Honey appear in the Great Grandparent and GG Grandparent levels from our cats Grandfather, JerseyBoy! These ragdolls are known for their outstanding loving personalities and angelic natures, including the ability to go limp in your arms, that Ragdolls are named after! 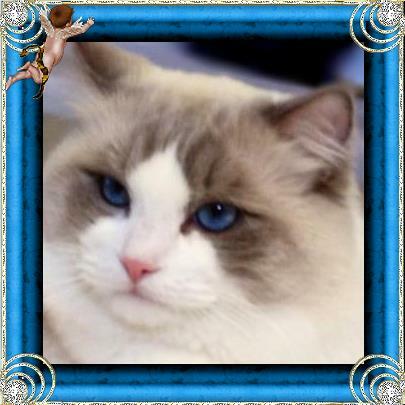 Exquisite Extraordinary Purebred Ragdolls from Supreme Grand Champion & Champion lines! Adorable, Affectionate and Amazing Loveable Angels! Bring an angel into your home and into your heart. If you seek an angel with an open heart, you shall always find one! In every heart, awaits your Angel!